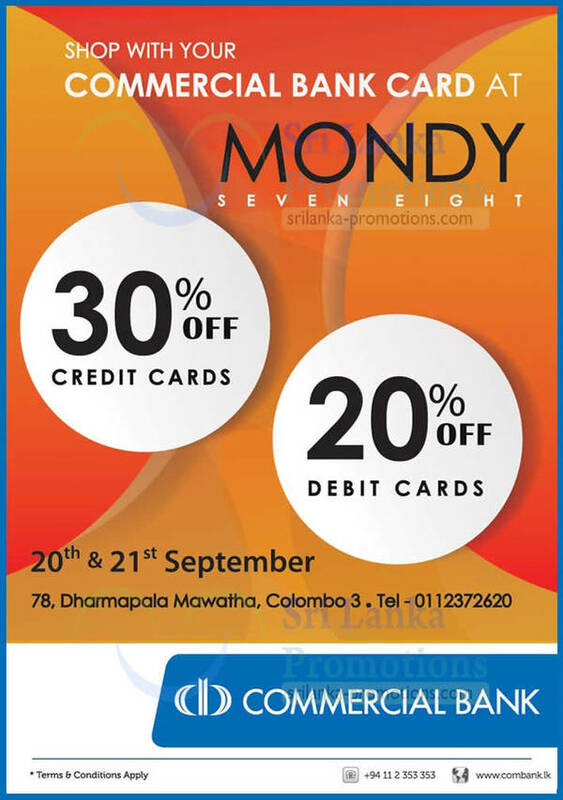 FC Plus is a high yielding foreign currency account which will guarantee a higher yield for foreign currency. 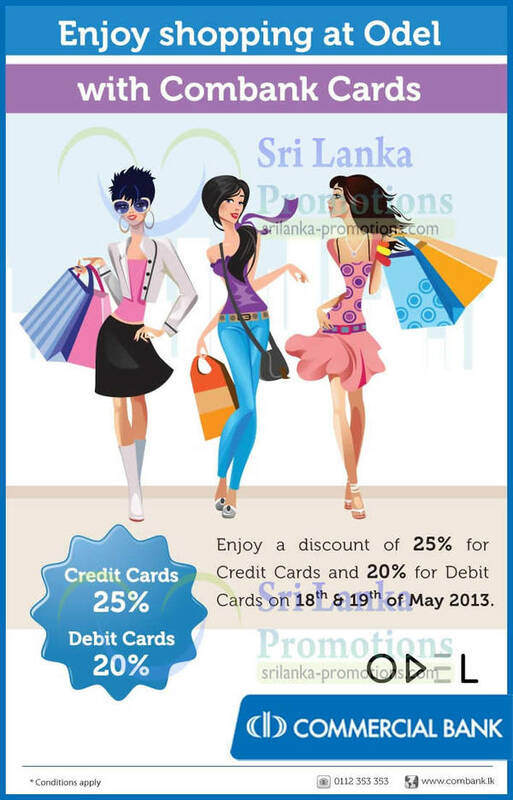 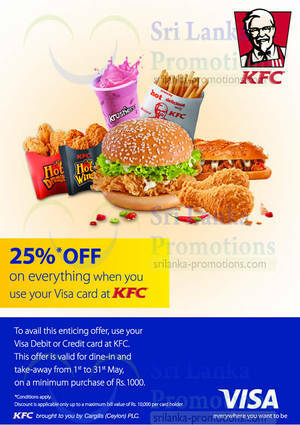 Enjoy a discount of 25% for Credit Cards and 20% for Debit Cards on 18th and 19th of May 2013. 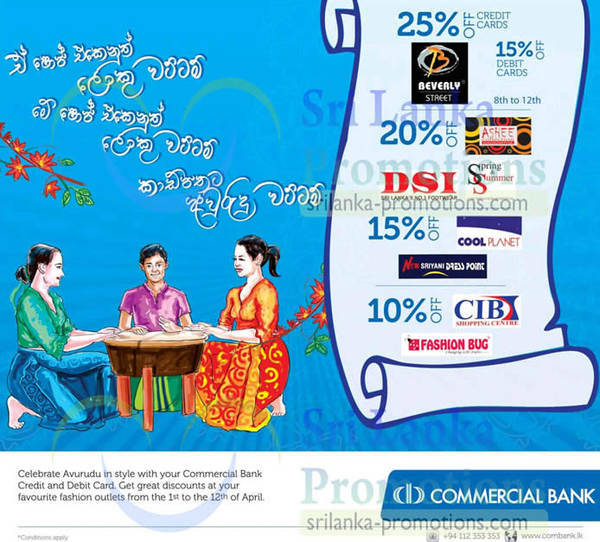 Celebrate Avurudu in style with your Commercial Bank Credit and Debit Card. 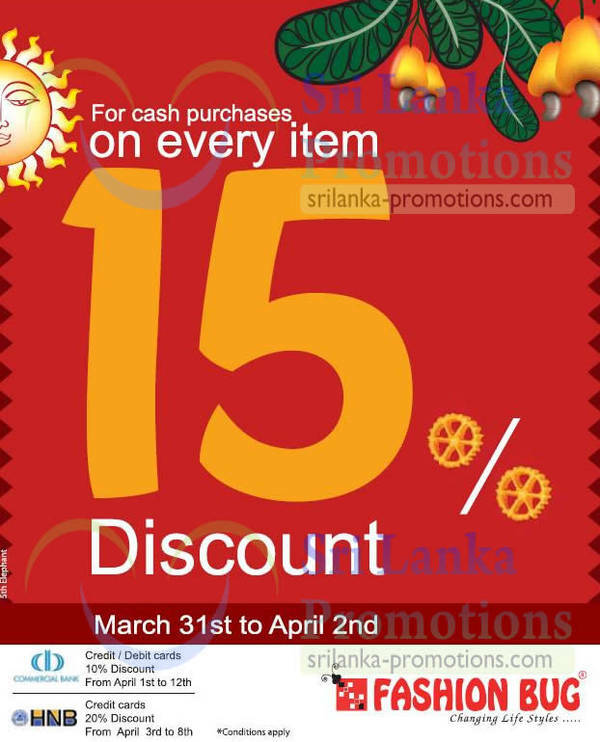 Get great discounts at your favourite fashion outlets from the 1st to the 12th of April. 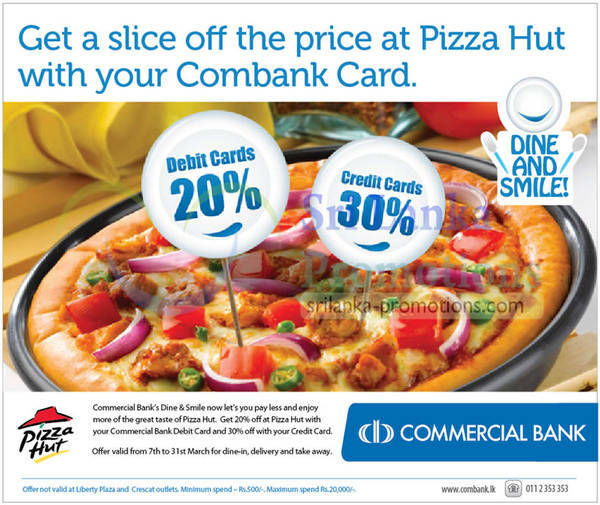 Get a slice off the price at Pizza Hut with your Commercial Bank credit or debit card with up to 30% off!